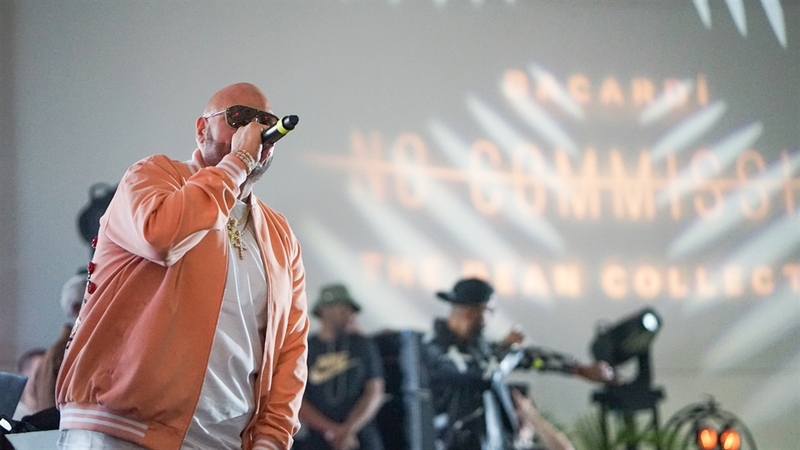 Swizz Beatz and The Dean Collection brought the house down with an epic finale showcase, bringing out A-Listers and surprise performances on the last day of NO COMMISSION: Miami at Faena Forum in South Beach on Friday, December 7. 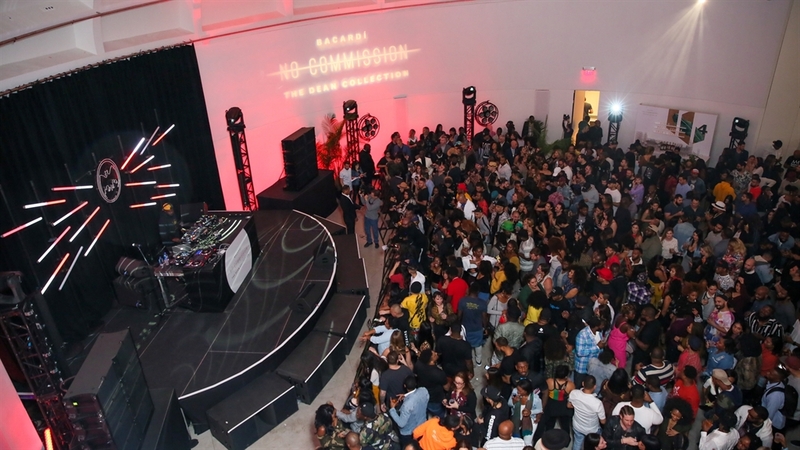 Over 1,000 guests wrapped around the block of Faena Forum to get into NO COMMISSION – the hottest party of Miami Art Week. 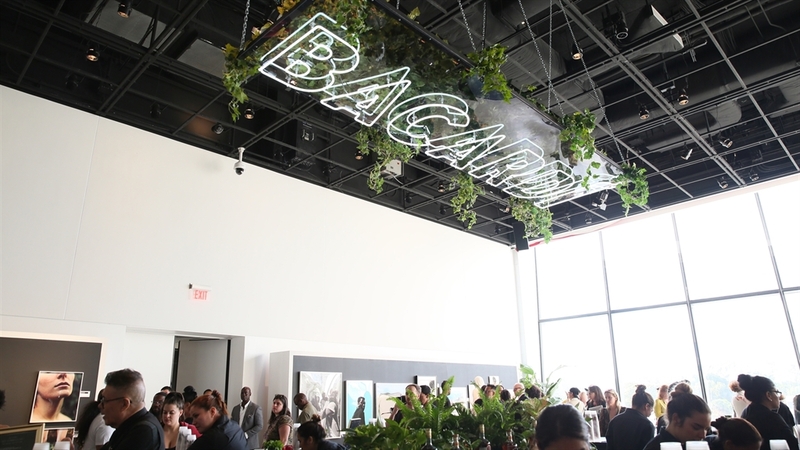 As DJ Nasty kicked things off with an epic set that got guests on the dance floor, tennis powerhouses and sisters Serena Williams and Venus Williams arrived on the scene and enjoyed BACARDÍ Ocho and cola cocktails in the VIP section. Once the night was in full swing, rapper Meek Mill took the stage to perform his classic hit “Dreams and Nightmares” and was later joined by A$AP Ferg for their hit “Plain Jane.” Swizz Beatz then brought Fat Joe on stage and treated the crowd to fan favorites “Lean Back” and “All the Way Up.” While on stage, Fat Joe gave a shout out to DJ Khaled’s wife, Nicole Tuck, who was celebrating her birthday with friends at the immersive art-and-music experience. Rapper and producer Mannie Fresh later took the stage for a series of fan favorite hits. Grammy award-winning producer Swizz Beatz closed out the night as his wife Alicia Keys danced along to his set with Serena & Venus Williams in the VIP section. 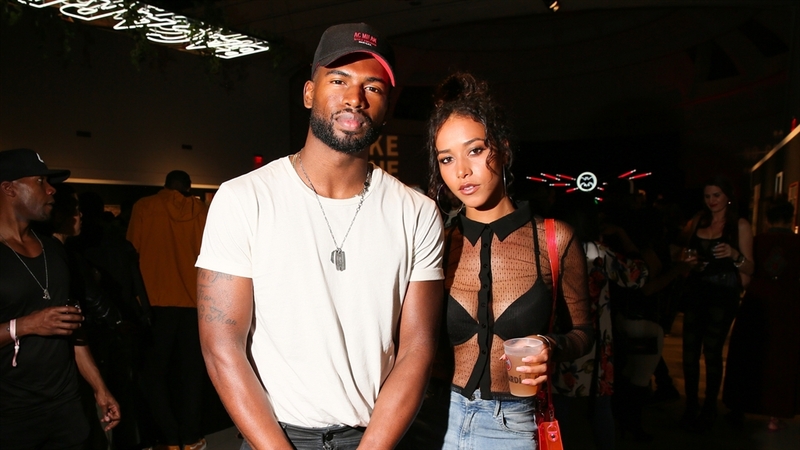 Throughout the night, a throng of celebrities flocked to NO COMMISSION to check out the amazing art and music featured at the experiential platform, where artists receive free exhibition space and retain 100% of proceeds from the sale of their work. A-listers who passed through included rapper Busta Rhymes, singer Nicole Scherzinger, model Tyson Beckford, influencer Steph Shepherd, designer and celebrity personality Angela Simmons, actor and model Broderick Hunter, rapper Jeezy, MTV star Jason Lee and rapper Ace Hood. 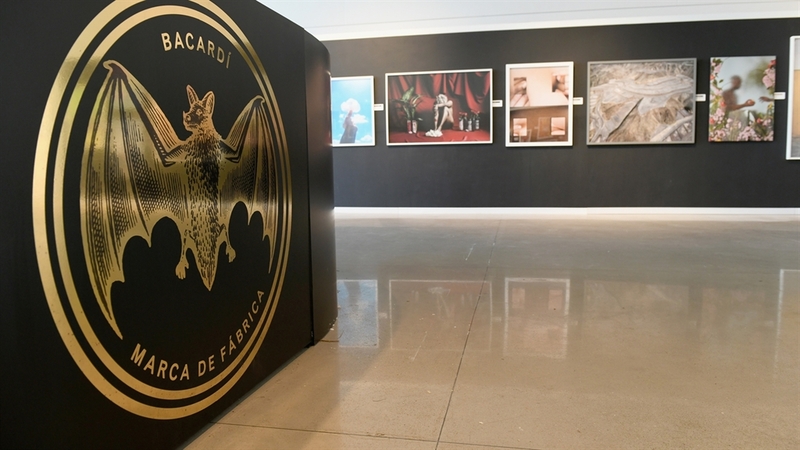 Guests sipped on BACARDI premium rum cocktails all night as they celebrated the thirty artists featured in the “Take the Shot” photography themed exhibition. 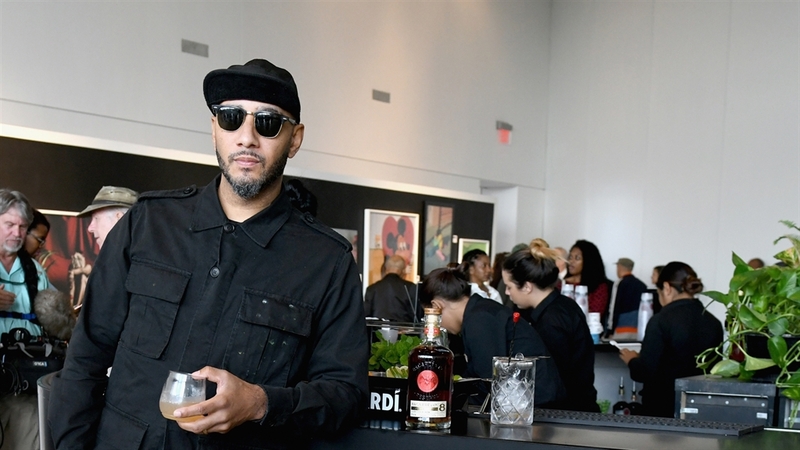 Earlier in the day, NO COMMISSION hosted two Sip & Paint sessions – one led by artists Derrick Adams and Gianni Lee and the other led by Swizz Beatz and Derrick Adams – during which guests each got to paint their own art pieces at the gallery. 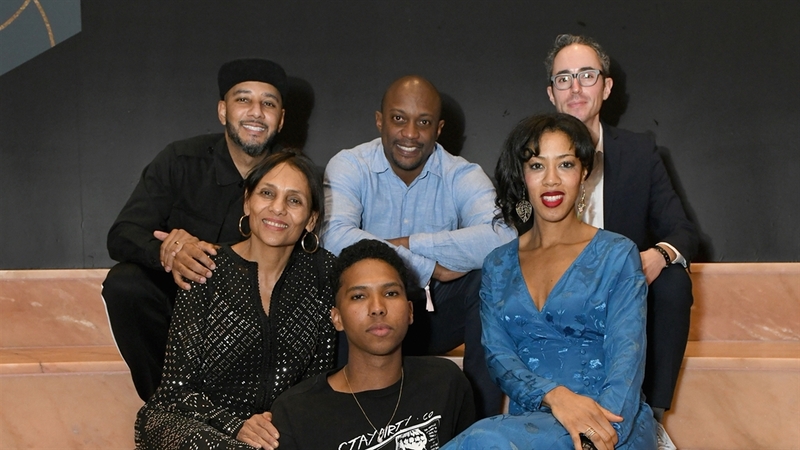 The two-day showcase drew attention from art world heavyweight Hans Ulrich Obrist and longtime patron and collector Richard Chang, who purchased two photographs by NO COMMISSION artist, Ming Smith.